In this new series, NAILS explores services you can easily add to your menu to increase your revenue and offer your clients convenience. This month, we take a look at eyelash extensions. In case you hadn’t noticed, eyelash extensions are everywhere. From Kim Kardashian’s fabulous fakes to the diva next door’s full fringe, these glam beauty enhancements have gone mainstream. How can nail techs take advantage of this growing trend to build business and keep clients happy? First, you need to know the basics. 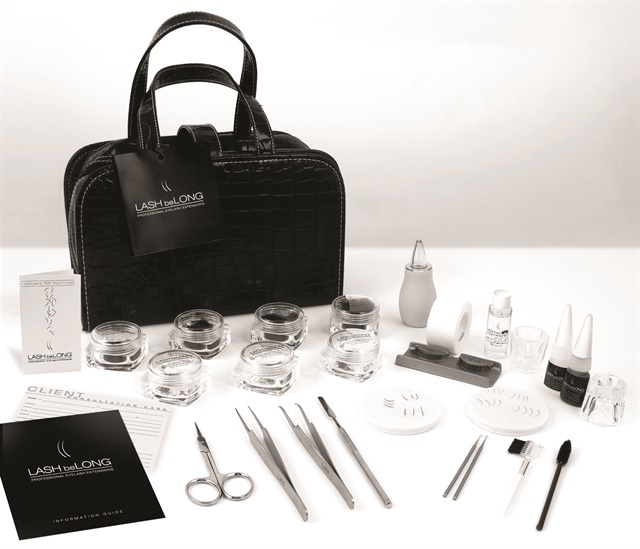 Most eyelash extension manufacturers also require a license to qualify for their training, and many manufacturers offer trainings, certifications, and discounts on their products when you complete their course and purchase a kit. Some schools also offer an advanced education course (1-2 days) for eyelash extension training. Aside from obtaining any necessary basic licenses, it’s also important to consider start-up costs for offering eyelash extension services to clients. Expenses may include a bed or reclining chair for the client, good lighting, the products for application (lashes, adhesive, adhesive remover makeup remover, lash cleaner, brushes, implements, and eye pads), consent/intake forms, and marketing collateral. Before you begin any service, make sure you’ve covered all the bases. The risk of impairing someone’s sight is a serious matter — not to mention a very costly one — so talk about the risks and ask clients to fill out informed consent and health history forms. 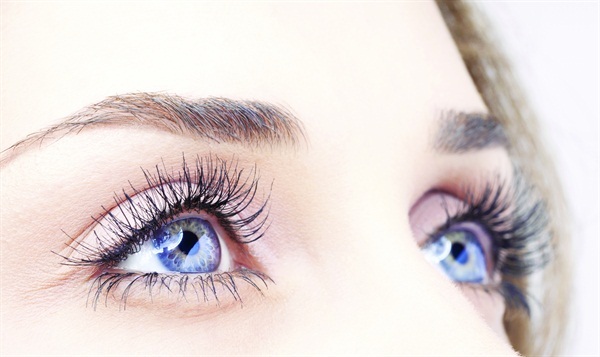 Allergic reactions are one of the most common issues with eyelash extensions. Always do an adhesive patch test on your client before the treatment. During the service, ask your client to keep her eyes closed until you tell her to open them. Fumes from the glue can make the client’s eyes water if they are not shut. Not only is this very painful, but with enough adhesive, it can also cause permanent damage to the eye. Make sure the eye is protected by eye pads. The client must be able to comfortably close her eyes with the pads on, or they have not been applied correctly. Eye pads should hold down the lower lashes while acting as a barrier against any extra glue. And although this may sound obvious, make sure you’re using adhesive that is intended for lash services — never use medical grade adhesive, which is for medical use only and can do tremendous damage if used around the eyes. Make sure you’re selecting the right lashes. If the client’s natural lashes are very fine, heavy lashes won’t stay on well and can lead to madarosis—the loss of the natural eyelashes. “One lash per lash” is the best rule when trying to give your clients beautiful, full lashes that last. You never want to apply eyelashes in clusters. These are far too heavy on the natural lashes and can lead to permanent damage to the hair follicle. Last, protect yourself! Even if you take all of the proper precautions, any treatment can cause injury. Some can end up in lawsuits that are costly and drag out for years. Having liability insurance to protect yourself is a must in this industry. License required: An esthetics or cosmetology license is usually required. Check with your state board. Startup cost: Training and kits range anywhere from about $350 to $1,200. A reclining esthetics chair or bed can be found for less than $200. Marketing collateral may be an additional expense. Logistics: A separate room from the nail area or a screened or curtained-off area where the client can recline is ideal. 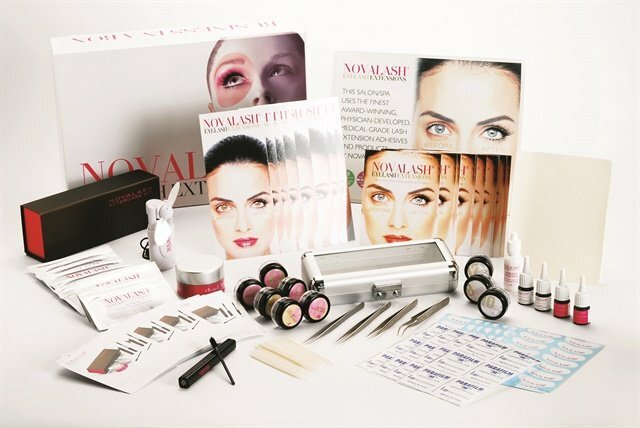 NovaLash carries synthetic and synthetic mink lashes in various lengths and curvatures, and offers a basic one-day training with a theory section and practical/hands-on section. At the end of the class the student is provided a certificate by the company. www.novalash.com. 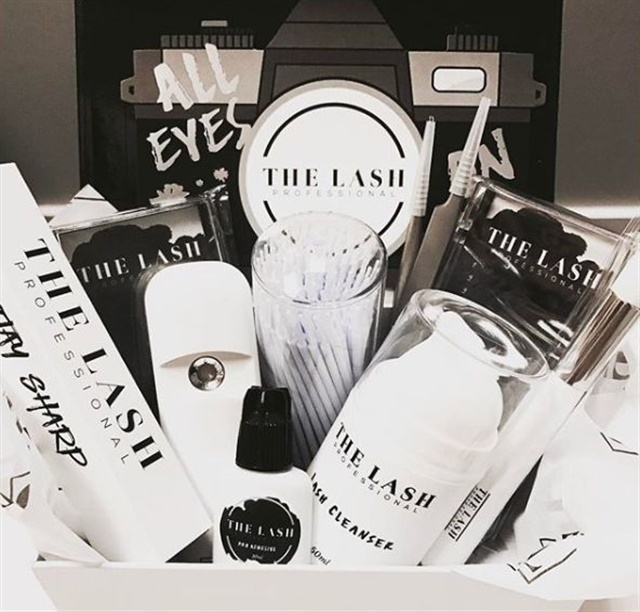 Lash Be Long carries their own patented volume and individual extensions, and provides a professional kit with training that goes beyond basic lash application to include techniques in marketing, advanced design, and innovative applications. www.lashbelong.com. Click here to see an eyelash extension demo from Bella Lash.